Bend, Sunriver, Sisters, Redmond, and Central Oregon: We promise a quick response and professional advice on your roofing, roof repair, home repair, and general home maintenance needs. CALL (541) 598-7455. We’ll treat you right and get back to you promptly. No arm-bending sales pitches, just top-notch service from Old Town Roofing and Construction. Smart homeowners and businesses know that repair and maintenance of homes and buildings is not an expense, it’s an investment. Expense is when you wait too long to fix a problem that could and should have been taken care of last year. Who can you trust home repair or building maintenance jobs at a fair price? OTR Construction can get the job done right AND on budget. Those stains on the ceiling tell you the roof is leaking, and you know it’s not going to get better. You don’t have time to do it yourself, and the longer you wait the more damage the leaks are doing to your home. You need someone you can count on — someone who will show up on time and put in an honest day’s work on your behalf. Listen, there are plenty of excellent companies in Bend. The Bend/Redmond area is growing steadily — and for good reason. Bend, Oregon is one of the best places in the world to live. We won’t make any claims about “being the best roof repair or home repair company in bend,” but we are proud of this: We treat you right and we have decades of experience behind us. Old Town Roofing and Construction’s owner, Michael Bennett, has been helping make people’s dreams come true for over 35 years now. Whether you have a leaky roof you’re worried about, want to remodel a kitchen or bath, need a deck built out back — or require another home repair or building maintenance job, Mike can either handle it himself or refer you to someone who can. Remodels, Roofing, Home Repairs, Roof Inspections and Roof Repars — in Bend, Redmond, Sisters, Sunriver — or elsewhere in Central Oregon. There is never a charge for the initial consultation. Call us at (541) 598-7455. If we can’t answer right away, we will respond to your inquiry promptly. Roofing: From flat to steeples, and from shakes, wood shingles, tile, metal, composition, to slate roofing — we handle all types. We do roofing repairs, as well. Stop that leak before it causes significant damage to your home. Get your roof inspected now and save on more extensive repairs later. 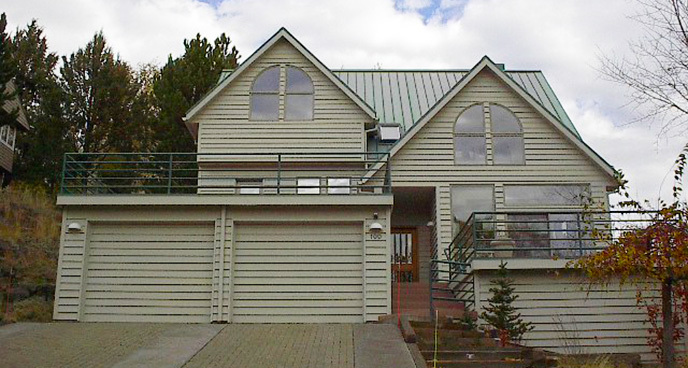 Siding: We install wood shingle, hardi-plank, vinyl, and cedar siding to protect and beautify your home. 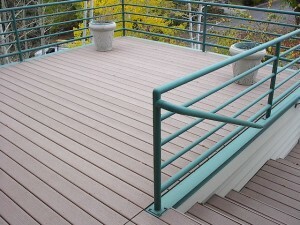 Decks: Whether cedar, composite, or vinyl a good and sturdy deck is a treasure. We love to install decks. Nothing pleases people more than a good spot to relax and enjoy the views Bend and Central Oregon have to offer. Windows: Retrofits are a specialty. That is because retrofitting windows can save you a ton of money, while still providing the energy savings and look you want. Go ahead and get a bid on new window installation, then call and ask us about retrofit windows. Home repair and building maintenance: More than handyman services, we provide professional work at very reasonable prices. We promise to care for you home the same way we would care for our own. We will always shoot straight, advising you on your best options for home repair and maintenance. After all, we don’t just work in Bend. We live here too. One more time, here’s our number: (541) 598-7455. Old Town Roofing and Construction is licensed in Oregon under CCB # 153356. We are bonded and insured for your protection.